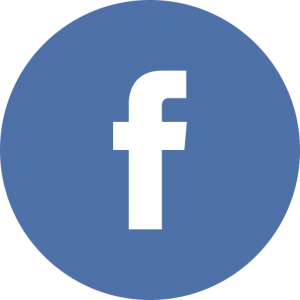 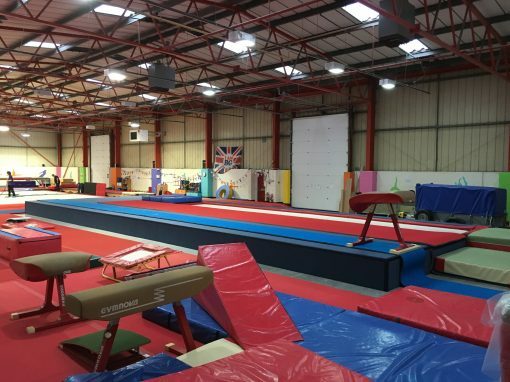 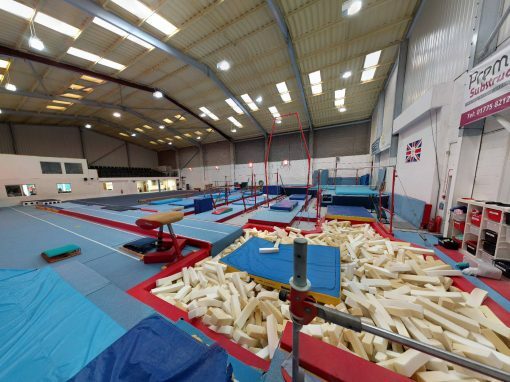 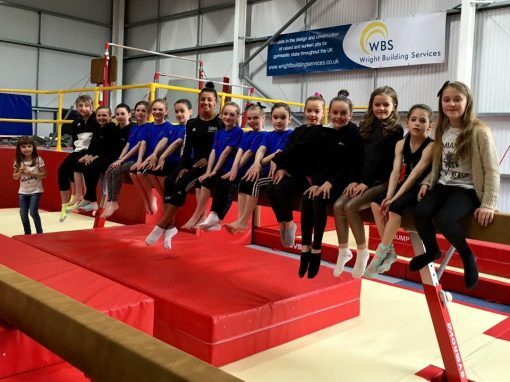 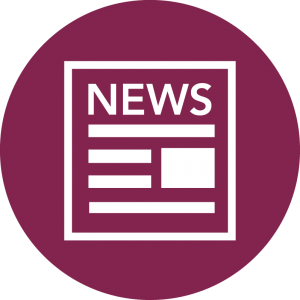 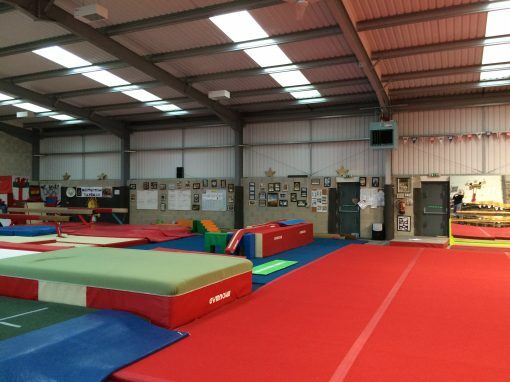 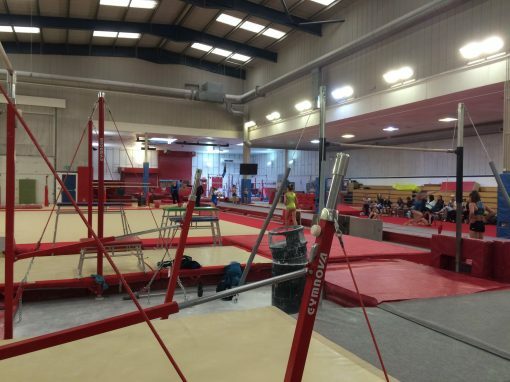 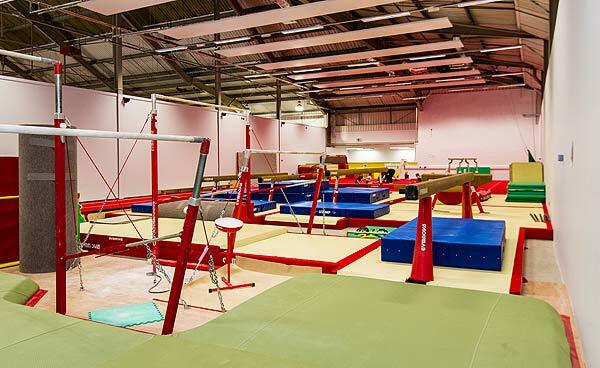 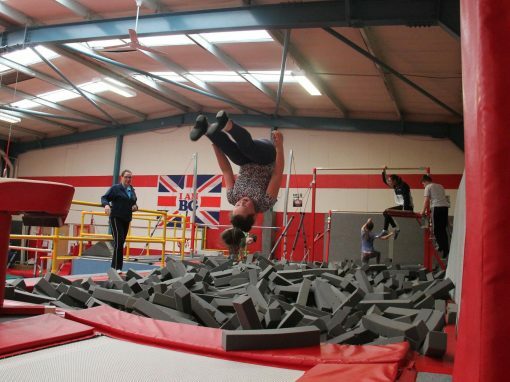 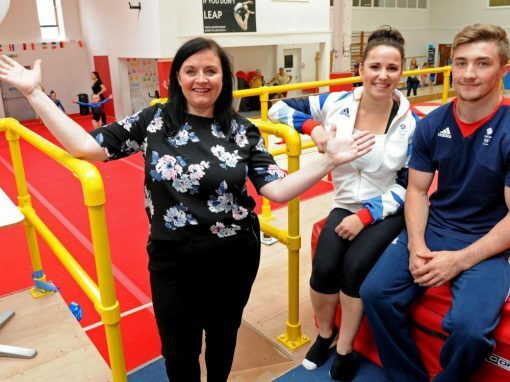 Located at the Halo Leisure Centre, which was undergoing a huge redevelopment project, Hereford Sparks gymnastics club was to receive a new, purpose-built gymnastics facility. 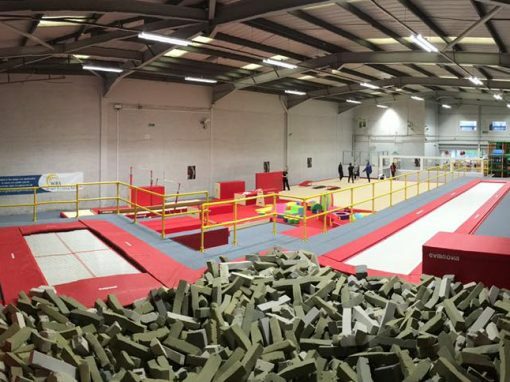 A new mezzanine floor was installed by the main contractor, Speller Metcalfe. 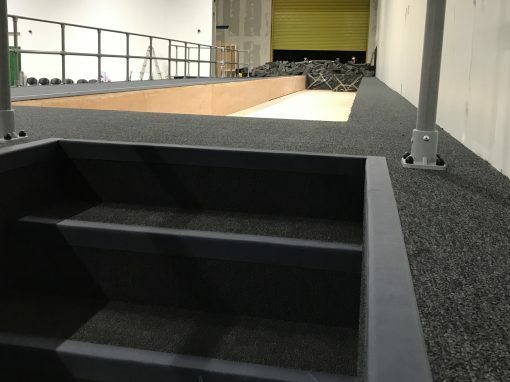 The total floor area was approximately 435sqm and had an area of 14.5m wide by 6.5m long which was sunken by 620mm ready to accommodate a timber podium incorporating a Jersey covered pit. 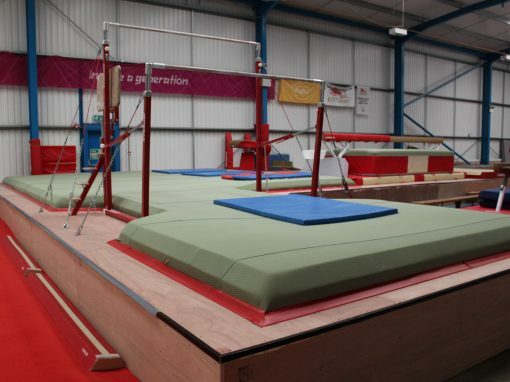 This sunken area allowed a 620mm high timber podium to sit flush with the rest of the floor area. 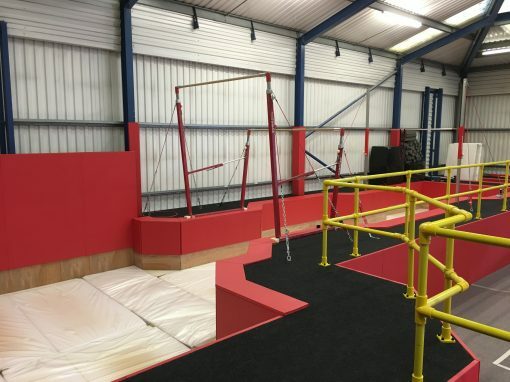 Plans for a layout were produced in conjunction with the club, equipment supplier and building contractor; one of the main criteria was a safe, unobstructed route to an existing fire escape located over the pit. 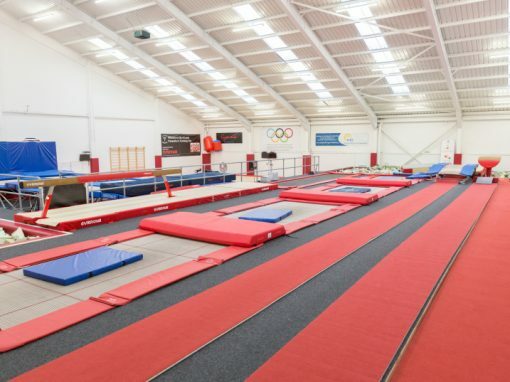 We also had to consider a safe landing area for a vault run, track and beam and a safe dismount area for a set of high-bars and a set of A-bars. 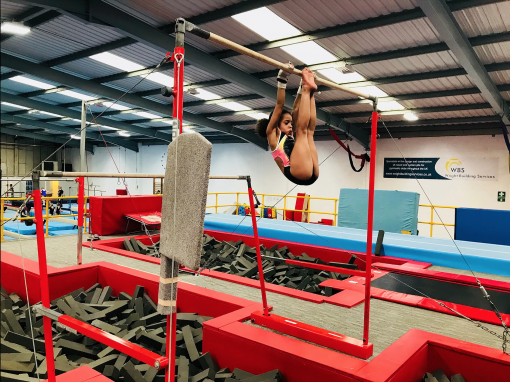 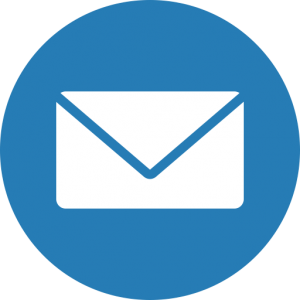 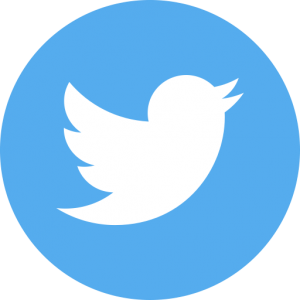 Additionally, the floor area of the raised podium needed to sturdy enough to accommodate another set of high-bars dismounting onto a landing mat. 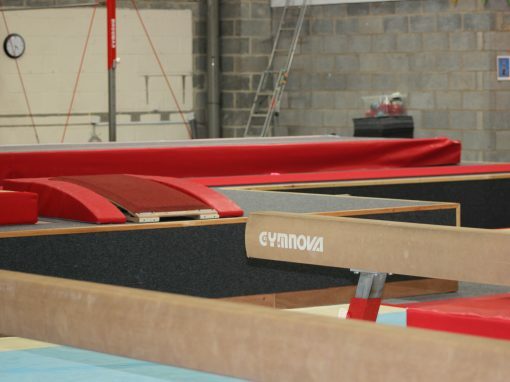 This set of bars were to be installed on the floor area of the raised podium where it meets the concrete finished floor level. 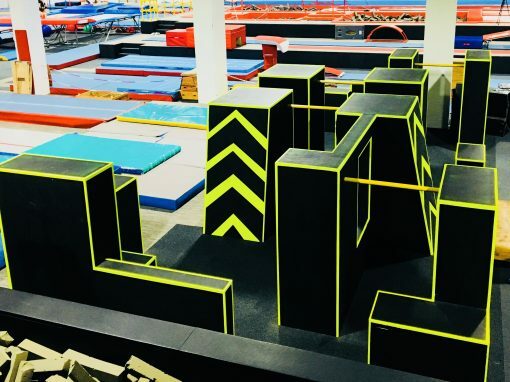 Calculations were made to determine the strength of construction required and floor span area ensuring user safety. 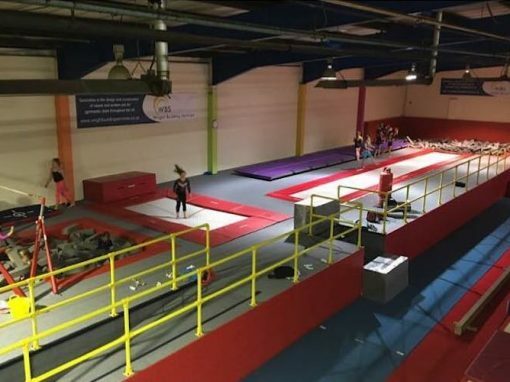 Once the layout and plans were approved construction began, this was completed within two weeks and ready for handover, as promised, to other parties for final finishing and equipment installation.